May is Asian Pacific American Heritage Month, a celebration of Asians and Pacific Islanders in the United States. According to the 2010 US Census, there are 17.3 million people of Asian descent in the country, representing the fastest growing ethnic group in the United States. 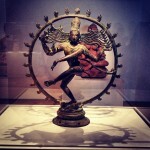 Visit asianpacificheritage.gov for a wealth of resources from the Library of Congress. So, what does Asian Pacific American Heritage Month have to do with YA literature? Quite a bit: the growth rate of the Asian population in the US means there’s an increasing number of young readers of Asian descent. What are they reading? Are they finding books and characters that reflect their cultural identities? Happily, I’m seeing an increasing number of titles that feature Asian or Asian-American characters or settingsâ€”but we still have a ways to go. I interviewed author Cindy Pon to get her perspective on the representation of Asian and Asian-American cultures in YA literature. Cindy is the author of two adventure-filled YA fantasy novels inspired by ancient China: Silver Phoenix, named one of the Top 10 SF/Fantasy for Youth by Booklist in 2009, and its sequel, Fury of the Phoenix. 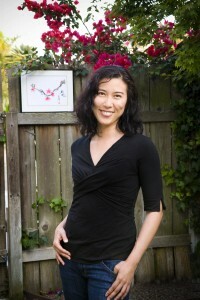 Cindy is also an accomplished Chinese brush painter and is one of the co-founders of Diversity in YA, a website and book tour created to bring awareness to the importance of diverse stories in young adult literature. Learn more about her on her website. 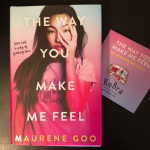 How does the representation of Asian and Asian-American culture in YA literature today compare to the choices on the bookshelves when you were growing up? I was an ESL (English as a Second Language) student and came over to the United States when I was six years old. I remember struggling very hard to learn a new language when I first arrived. Six years old is an impressionable age, and it seemed that I had spent those formative years learning how to communicate, only to have it all taken away from me. My first grade teacher (when I entered the class mid-year in March) had to literally write my name on the blackboard as I didn’t even know the alphabet. I went from the memory of not knowing a single English letter to reading voraciously in the third grade. When the words and sentences began to make sense, it was as if an entire magical world opened up to me! I'[ve] been a reader ever since. Having said that, as much as I read in elementary school and all the way through college (summers were the time to catch up on pleasure reading for me), I don’t remember ever reading a novel in which there was a protagonist that looked like me. In fact, if there was a side character that was Asian or Asian-American, I can’t remember. I read widely, from fantasy to mystery to Sweet Valley High to the Scholastic Sunfire romance series. No one in those novels ever looked like me. 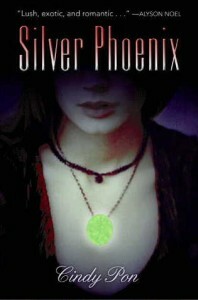 I still remember a few years back, before I had even written Silver Phoenix, and was browsing the local bookstore shelves when I saw Lisa Yee’s Milicent Min cover. I picked it up in mild amazement, that there was an Asian American featured so prominently on the front–that it was a story of this girl. It was something I never knew or grew up with. I think that we are certainly making strides to be more inclusive in children’s and young adult novels, but I think we still have quite a long way to go. Predominantly, the protagonists in young adult novels are still Caucasian, and often not truly reflective of the diverse society America is today. In fantasy, I can pretty much count on one hand how many young adult novels have been published within the last five years that have been Asian inspired. 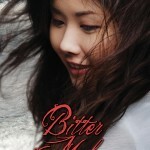 I know that there will be more released in the near future, like Ellen Oh’s Korean inspired young adult fantasy Prophecy. I cannot wait to read it! Your books are a wonderful contribution to the representation of Asian culture in YA fantasy literature. Why was it important to you to set the Kingdom of Xia books in a Chinese-influenced fantasy world? Silver Phoenix really was an accident at the time. I was staying at home full time with my two little ones and desperately needed something to call my own again. I had stopped writing creatively for over a decade through my twenties, and got back into it by taking creative writing classes at the local university extensions. They included a novel writing class. At the time, I had just begun learning Chinese brush painting as well, and was learning more about Chinese culture and history. I decided I wanted to try and write a novel, and combine my two loves, fantasy as a genre and Chinese culture. Silver Phoenix was the result. I didn’t realize until after I published that on a subconscious level, I really wanted to write a novel that I would have loved to read as a teenager myself. I won’t be dramatic and say that I was irrevocably damaged for reading so many books of people who didn’t look like me. I always found something to relate to with those characters and their stories. Because that is what a good author does, makes you sympathize with her heroine, even if you might not have any obvious similarities in background or experiences. But in adulthood, looking back, and now as a mother, I had to ask myself, why? Why aren’t there more books for teens that better represents the diverse population we live in today? If I could grow up relating to Sara Crewe in A Little Princess and fret over the ballet performances of the Fossil sisters in Ballet Shoes, having never been to England or danced ballet, why can’t it be the same for books with a person of color protagonist? Because I cannot think of a better medium than books to show that as people, we share more similarities and hopes and wishes than differences, no matter what our backgrounds. What kind of reader response have you received about the Chinese influences in your books? The response has been mainly positive. I think what is striking is when a reader is pleasantly surprised that they enjoyed my novel. Because they aren’t “into Asian culture” or didn’t think that an Asian fantasy was for them since they don’t read manga. Now I do have readers who automatically gravitate to my novels because they do enjoy Asian culture and its influences, but I didn’t write my novels targeting them. I truly just wrote a very traditional fantasy novel with a classic heroine’s journey. The only unique thing is that it is set in a Chinese inspired world. So really, something that any fantasy reader might enjoy. For me, it’s frustrating to see the Asian factor singled out as something so “other” that a reader might automatically dismiss it as a novel “not for them.” When it is much less likely to happen to fantasy novels based on Western myths, be it Greek, Norse or Celtic. 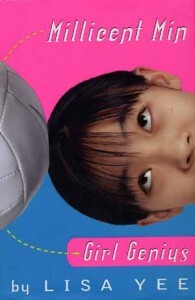 Being the only Asian inspired YA fantasy released in 2009 made my book unique, but it also often felt like an onus at times, marking my novel as something different and not always in a positive way. That was surprising. 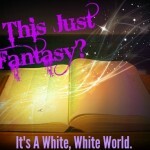 I hope that one day, there are enough fantasies published inspired by all cultures that it will no longer be an issue. I hope so too, Cindy. It’s encouraging to hear that your book shows readers that a story with Asian elements isn’t just for people with Asian heritage–it’s for anyone and everyone. Thank you for sharing your insights with us! In part two of this series on Asian Pacific American Heritage Month, I’ll be recommending some excellent YA titles that represent Asian or Asian-American culture.